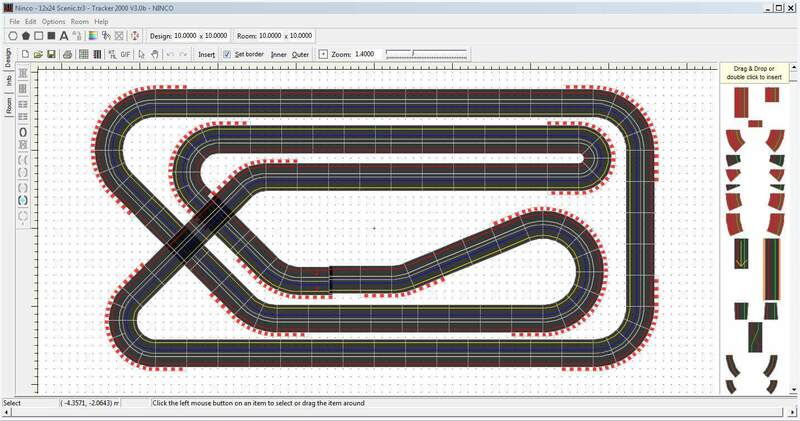 Tracker 2000 is a simple slot car track design program featuring an inventory system, room designer, layout distance calculator and a track definitions editor. 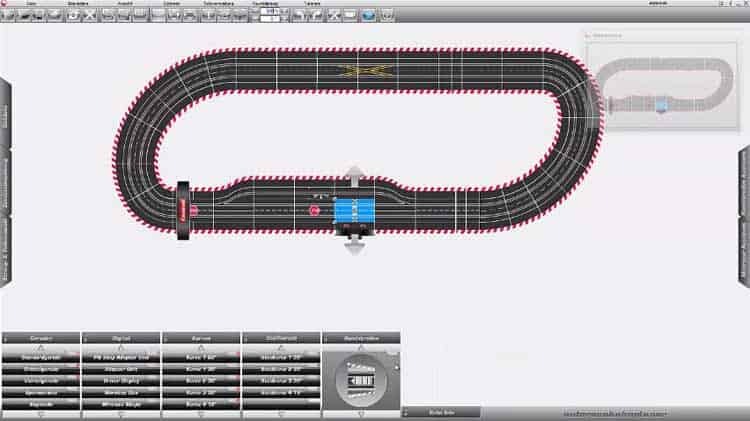 The software can keep track of all the slot track pieces used and what you still have available based on your inventory. 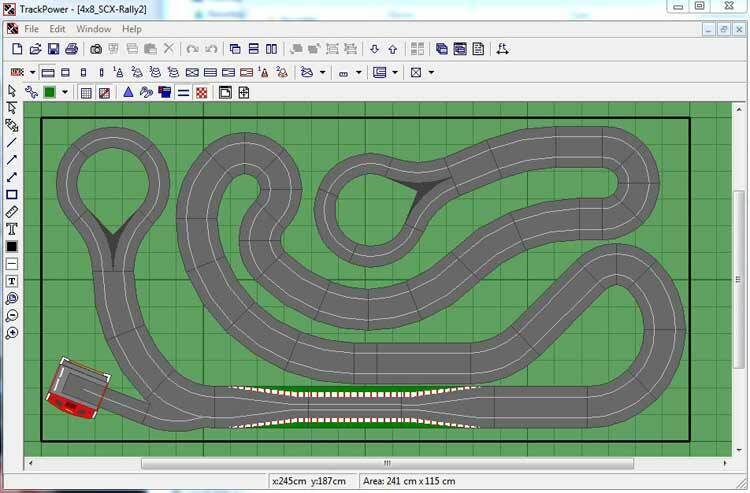 It supports multiple lane track layouts as elevation changes. 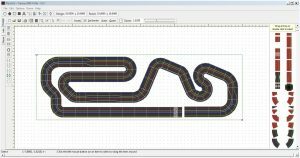 Although it is no longer being supported by the original developer, the final version is available for download and registration codes can be found online to allow full functionality.